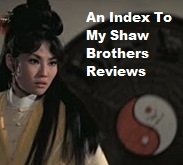 You know, I've reviewed so many Shaw Brothers films that it's starting to feel like work. Heck, it is work! I didn't really want to post a review on Sons of Good Earth because it's just not the sort of thing that I feel equipped to review. So, this will be a very lazy review and I'm only posting this because the film does contain an amazing number of Shaw celebrities and it is a King Hu film. 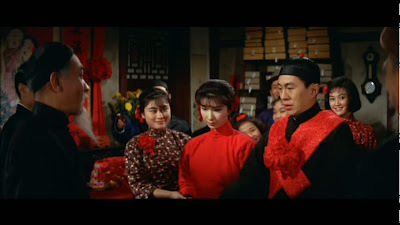 Actually, this was King Hu's first solo directing job one year before he did Come Drink With Me (1966). Sons of Good Earth is the story of a small town fighting the Japanese during World War 2. The main characters are a pair of painters -- billboard painters in one scene -- played by Peter Chen Ho and Lee Kwan. Peter's character rescues Betty Loh Ti who's a girl who's been sold into servitude or marriage -- that part didn't really seem clear to me. Admittedly, Betty Loh Ti looks a bit too old for this sort of part but the actress is glamourous and lovely and brings a nice forced vulnerability to the early scenes. Pretty much all the major Shaw Brothers character actors and actresses -- with the exception of the otherwise ubiquitous Ouyang Sha-Fei! -- are in this; just look at this cast list! Life goes on in the small town even though the Japanese are clearly making their presence known. The early scenes of Sons of Good Earth progress with a kind of silliness that is just the calm before the storm. Only tea shop owner Tien Feng seems to be aware of the seriousness of the threat posed by the Japanese. 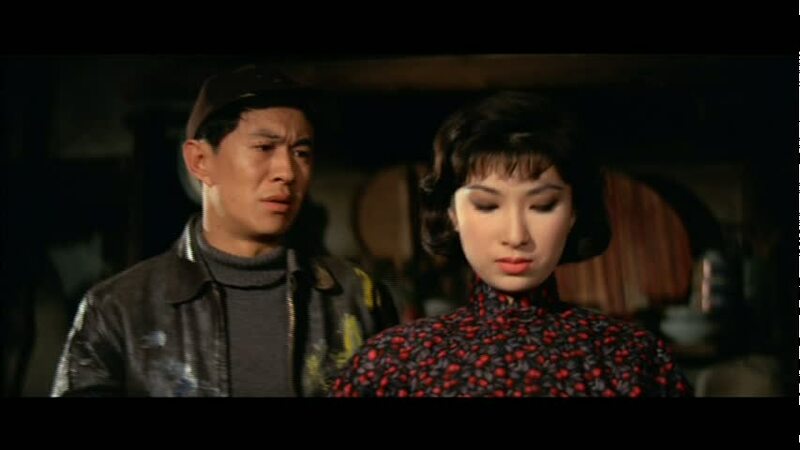 Peter Chen Ho and Betty Loh Ti were married in real life and the actress killed herself in 1968 -- some say over jealousy at Peter's affairs on the side -- and so the film feels like essential viewing simply to see this famous couple of Hong Kong cinema at work together. The wedding scene of their characters is lovely but -- of course -- that is exactly when local thug Cheung Kwong-Chiu shows up to reclaim the girl and generally cause trouble. Look for Kao Pao Shu as the guy's wife. She went on to direct Lily Ho in Lady With A Sword (1971). When the Japanese army finally invades, the film, like The Sound of Music (1965), tries to interject reality into what is admittedly a studio production filmed largely on a backlot. As such, it annoys me just as much as Julie Andrews' flick did -- I hate The Sound of Music! I mean, World War 2 was horrific. There's no way that Julie Andrews or Peter Chen Ho are going to add anything to the discussion of history. I like films that are artificial and fake but, in a World War 2 setting, this sort of thing starts to make me feel like I'm watching a high school play; it just never works for me when presented in this manner. Maybe it's because I associate those backlot productions with the escapist fare that I loved so much as a child? 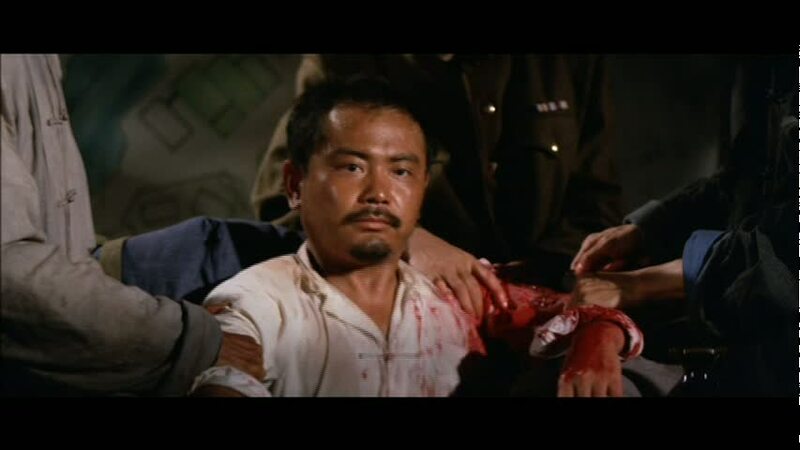 I don't want the nasty business of Japanese wartime atrocities intruding on my film geek pleasures. Now, all that said, I'm sure that in 1965, to Chinese audiences in their 40s and 50s with WW2 memories still vivid in their minds, Sons of Good Earth was probably quite moving. Admittedly, the human emotions on display in certain sections are a bit more vivid than the normal Shaw Brothers films as these emotions are rooted in reality. 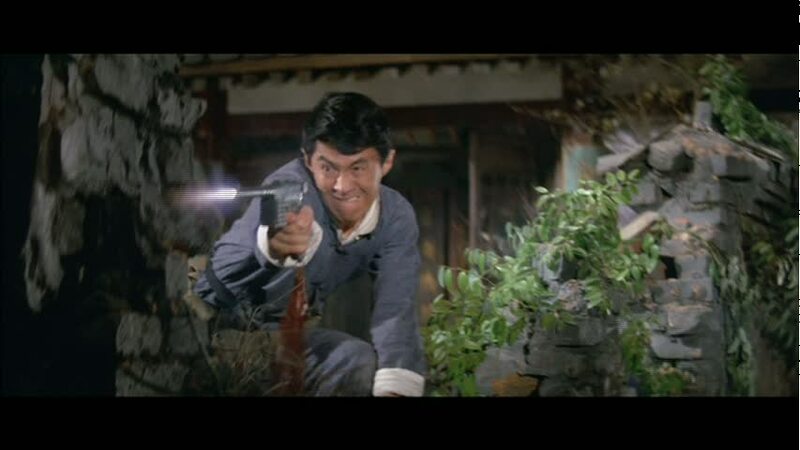 Soon, the locals including Peter Chen's character are mounting a resistance led by the resourceful Captain Ding (director King Hu himself). As Peter's wife has been captured by the Japanese, it seems to reason that his character would have a good reason to fight back. 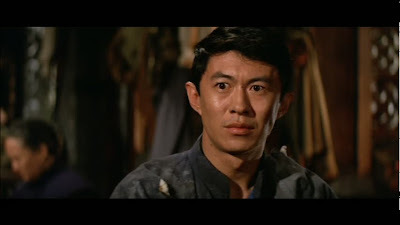 The fact that Peter Chen Ho always reminds me of Fred Astaire is not a plus when watching Sons of Good Earth as I felt like I was trying to watch something akin to Fred Astaire fighting the Nazis; it just didn't entirely work for me as a viewer. Sons of Good Earth moves along at a good pace and, if you can overlook the hokey ending -- actually the two big ending moments are both hokey and sappy and full of unearned sentient -- then the film may work for you. 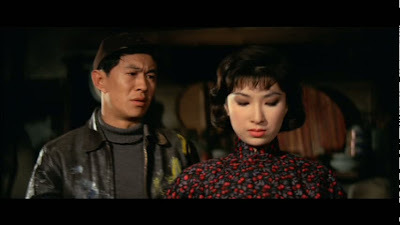 If nothing else, a viewer gets to see a lot of the best actors and actresses of the Shaw studios in one film, including the famous couple of Betty Toh Li and Peter Chen Ho. 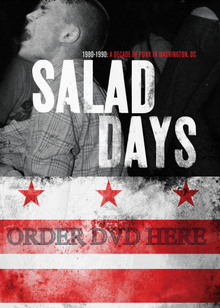 You can buy Sons of Good Earth on DVD here.